This painting is positioned at the end of an entrance hall. 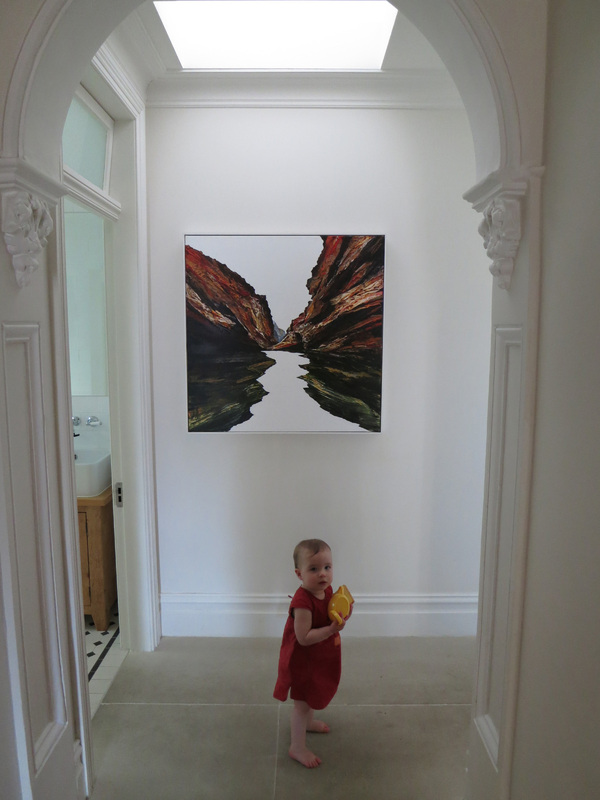 The strong vanishing point works really well in focussing energy into the house. Of course nothing trumps the little girl standing underneath.